You know what your goals are. Subject lines that sell. Copy that kills it. Design and deals that drive readers to take action. 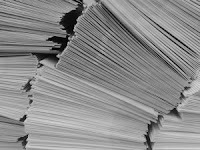 It often feels as if there are millions of moving pieces to our email marketing campaigns. But the simple fact remains: your campaign can’t go anywhere unless your pitches are actually getting read. 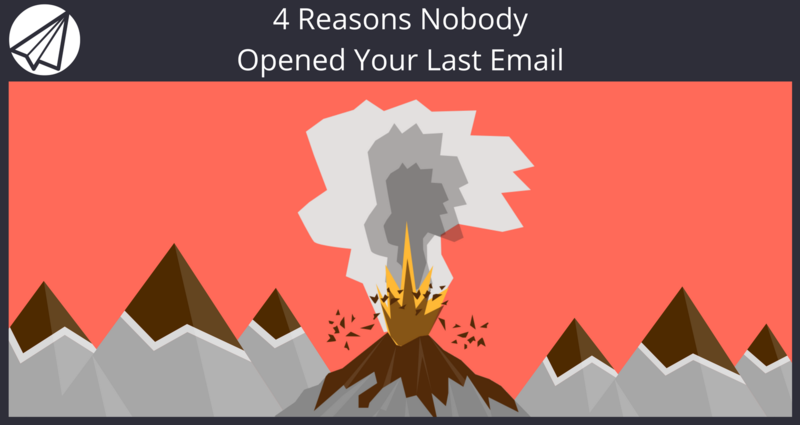 over open rates, easily one of the most important metrics surrounding any email blast. A solid open rate serves as validation that we understand our audience and are ultimately sending the appropriate message to our list. For starters, most marketers would likely be pleased with an open rate of 20% to 30% for promotional emails. If you aren’t seeing such numbers, however, what are you supposed to do? It is simple. Take the time to understand four of the most common pitfalls for emails that never get opened. Remember that the average office worker receives over 100 emails on a daily basis; therefore, you really need to think twice before blasting emails to a cold or purchased list. Think about it: if your brand is relatively unknown or no previous interaction with your user-base, you’re ultimately setting yourself up for failure. You’ll naturally get a better open rate by building a warm list of opt-ins. By having readers opt-in, you’ve automatically established a connection with your audience who’ve signaled that they want to hear from you. The “spray and pray” approach to email marketing simply isn’t practical if you want to run a cost-effective email campaign. Sure, looking like spam is bad; however, actually winding up in the spam folder is a kiss of death for your email campaign. In short, the best way to avoid being perceived as spam is, well, not spamming. Don’t try to dupe your readers: instead, strive to build a sense of trust and be upfront about the intent of your message. Perhaps one of the most common misconceptions of email marketing is that every subject line needs to take a pushy, salesman-like tone in order to be effective. Users respond to a diverse range of marketing messages accordingly, as noted by this 2013 Nielsen Global survey of more than 29,000 consumers. If your marketing message is off-base, your audience will be much less inclined to click. While some users will naturally respond well to fear, for example, others will actively avoid such messages. Therefore, don’t take a blanket approach to crafting your marketing language. Instead, research the best practices within your industry regarding what types of messages resonate with your audience and how you can apply those principles to your subject lines. Subject lines can obviously make or break our email campaigns. They represent the ultimate barrier to entry and are a deciding factor as to whether or not a user will click through. The principles of a killer subject line, from personalization to brevity, apply to just about any industry and campaign without fail. Generic or spammy subject lines just won’t cut it anymore. Put yourself in the shoes of one of your recipients, casually scrolling through your inbox after lunch. DEAL FOR YOU! SPECIAL OFFER! Claim Your ~FREE~ Gift! Just for you! Exclusive! I Can’t Believe It! No, Really! Just Wow! Would you be inclined to open these? Listen: there is no secret formula to driving users to open your emails. Marketers today thrive in an age of transparency, where we have so much data at our fingertipsto help us understand our user’s needs and how to deliver them straight to their inbox. To ensure the best open rates possible, make sure that you understand the best practices of your audience, what makes them tick and rely on a trusted email marketing service that won’t send your messages to the spam folder. In order to make sure more of your emails are opened and acted upon, sign up now for an absolutely free 14 day trial of Sendlane. We will reliably and consistently get your emails delivered. We have many new features such as Optimized Timing and Segmenting to help you keep up to date with the latest technology in the email marketing world. Plus, each week we will be giving you tips like these to help keep your marketing fresh and effective. We hope you loved this article and found it useful. Please share it on your social networks using the buttons at the top of the article to help spread the knowledge! Let us know if the comments below what has helped you get more of your emails opened. Thanks!